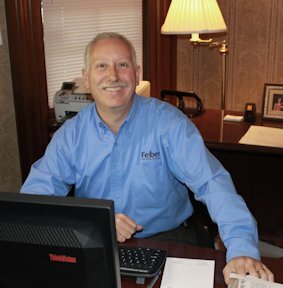 Rob Felber, president of Felber Public Relations & Marketing, is responsible for the development and implementation of measurable advertising and public relations campaigns for manufacturers. The firm’s client experience includes The Global Polymer Innovation Expo, Hitachi Medical, SSP, FD Johnson, Makuta, PMI and Thogus Products Company. Now a serial entrepreneur, in early 2012 Rob launched Next for Nonprofits, LLC, a company impacting the economic realities facing today’s nonprofits. Rob has held numerous leadership positions within marketing associations. Rob has appeared as a guest speaker on college campuses such as Kent State, John Carroll, Cleveland State and Akron Universities and before a variety of business organizations. Additionally, Rob served two terms as president of the Twinsburg Chamber of Commerce. In September of 2006, Rob was elected to the board of the Ohio Venture Association where he served as vice president – public relations for six years. In February of 2007, Rob was elected to the board of governors at The Club at Key Center and chaired the board in 2011. Rob is also a member of the John Carroll University Entrepreneurs Association, where he has lead its communications committee and currently serves on the program committee. Rob served as chair of the City Club of Cleveland’s 100th Anniversary subcommittee on marketing and public relations. Rob has also dedicated 12 years on the leadership team for The American Cancer Society’s Relay for Life – Twinsburg/Nordonia and chaired the 2011 and 2012 events. In December, 2012, Rob was recognized as the Business Person of the Year by the Twinsburg Chamber of Commerce. Little known fact: Rob is the Public Information Officer for the Hillcrest Technical Rescue Team of which he is a member and firefighter/paramedic since 1983.